Available in 4" (small) as well. All pots are sealed inside and out to protect from water, are very durable, and should last for years. Plants may be potted directly in Sasswatch pots. 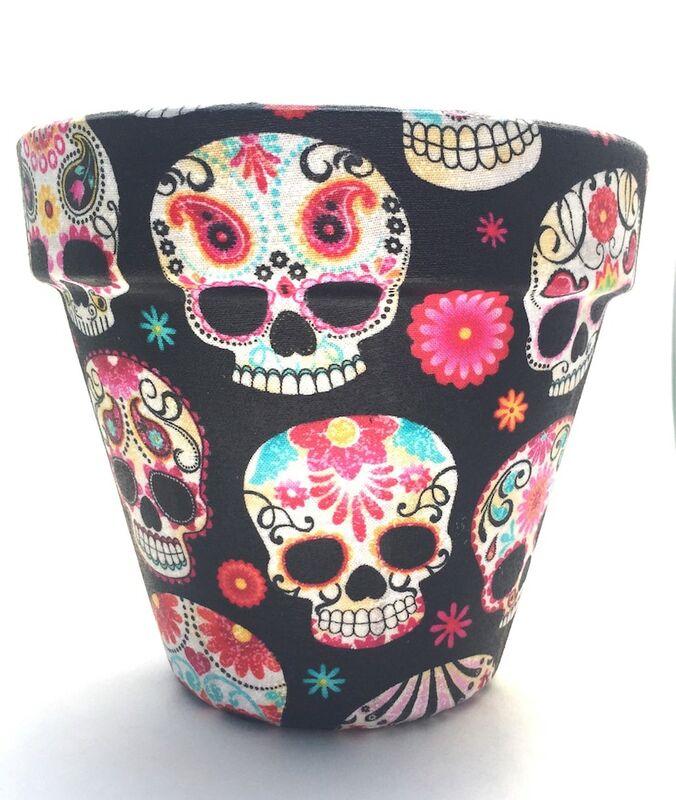 Certain fabrics may fade if exposed to direct sunlight over a period of time, so it’s recommended that you keep your Sasswatch pot indoors and/or away from intense sunlight. See Shop Policies for additional payment\/shipping information. Absolutely beautiful!!! it is well made and colorful and I have to tell you that anyone who sees this in my yard is asking where I got it! Love this so much I just bought another.